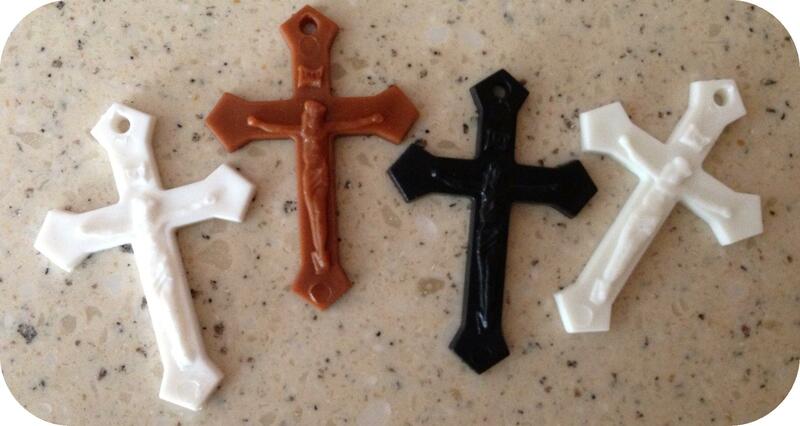 All crucifixes above sold in increments of 1,000 or more with volume pricing. Prices Shown are per thousand pieces. For example, 1,000 white is $16 plus shipping; 4,000 white would be $64 plus shipping.